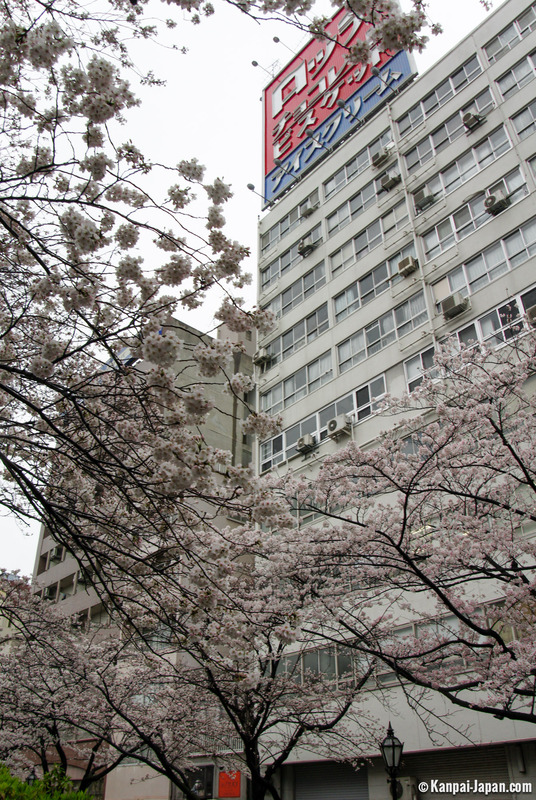 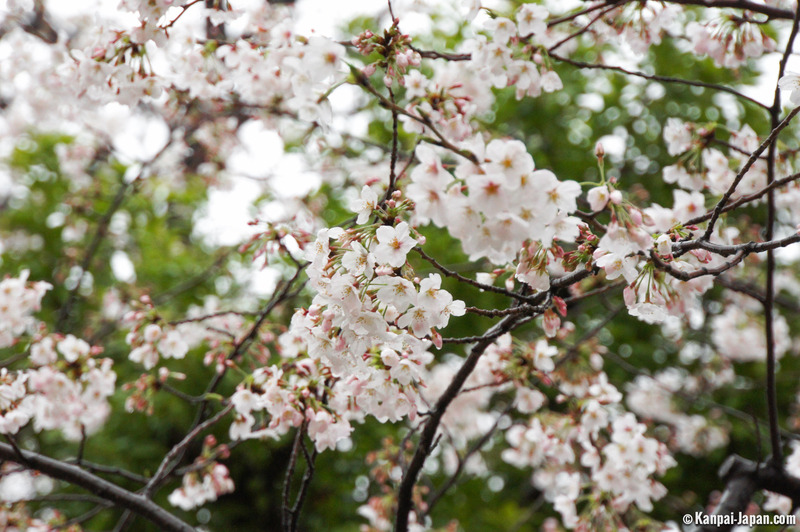 With few others such as Shinjuku gyoen and Ueno park, Meguro river or Chidorigafuchi, Sumida Park is one of the most popular places for visitors to admire sakura (cherry blossom) during their short flowering in the spring. 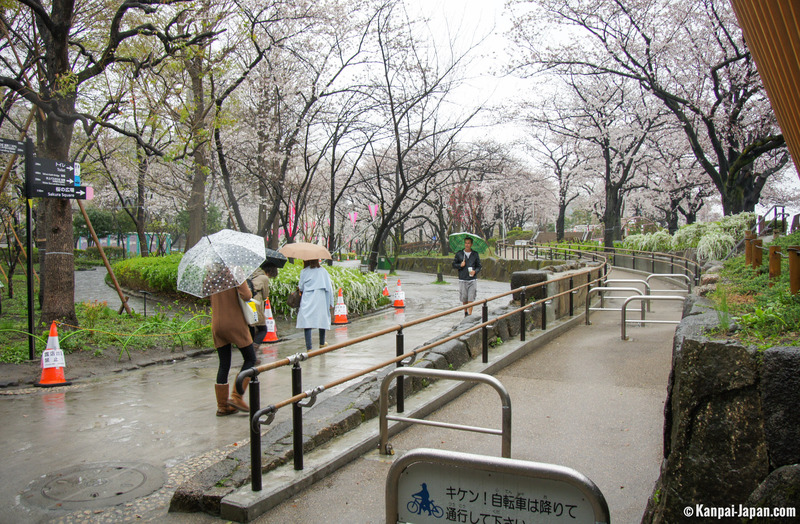 What is called "Sumida Park" includes the aisles located on both banks of the eponymous river, which runs through the heart of Tokyo towards Odaiba. 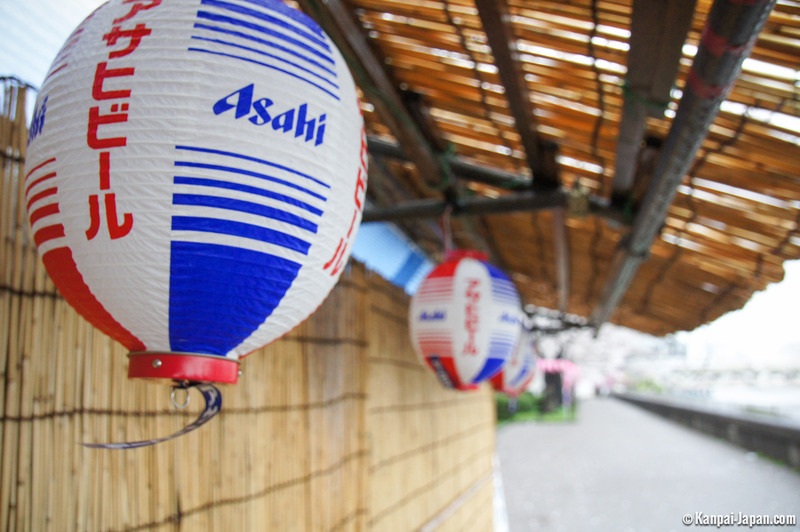 It is located only a few dozen meters from the famous Senso-ji, the great temple of Asakusa so popular with tourists (and sellers of all kinds). 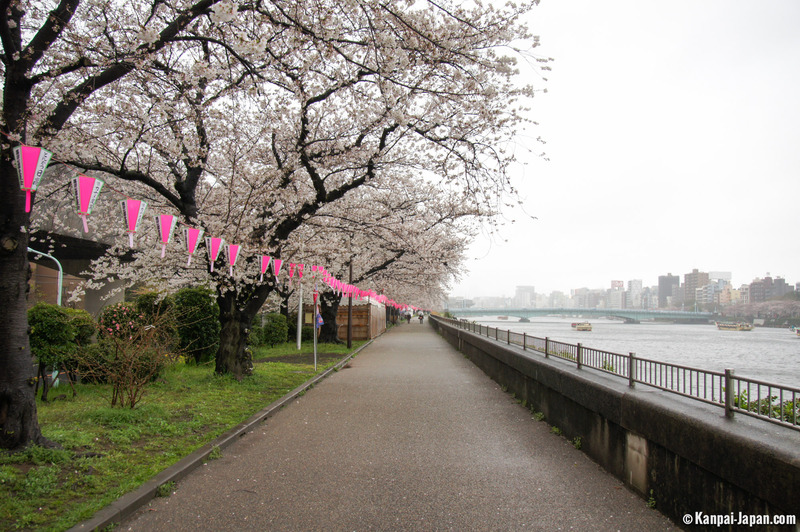 The walk in Sumida-koen has the merit of providing a significantly less confined perspective, which spreads over several hundred meters. 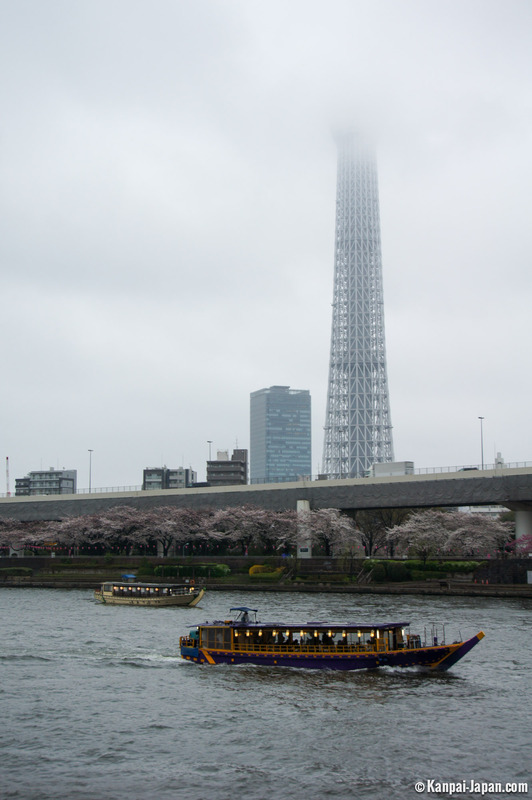 Certainly, urban style is not magically avoided all around it, as shown by these bridges crowded with traffic or the inevitable Tokyo Skytree nearby. 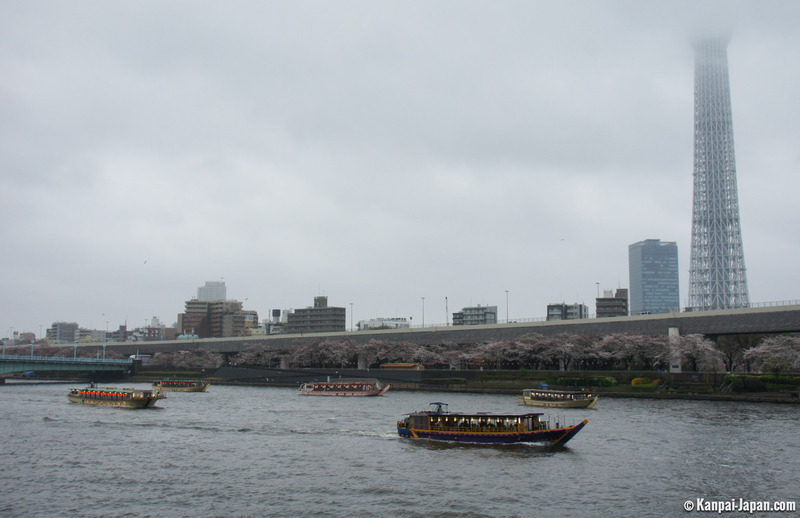 But, filled with Yakatabune (restaurants on the water) or short cruises (as Himiko), the vastness of the river offers a very valuable aquatic lung. 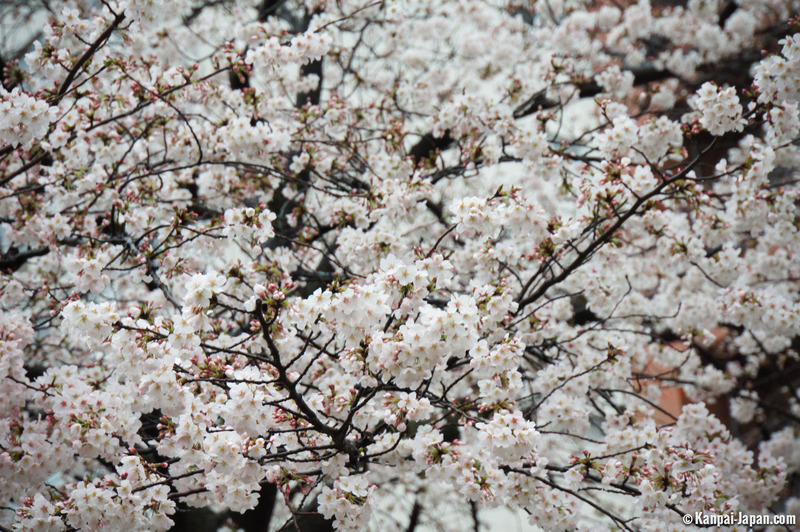 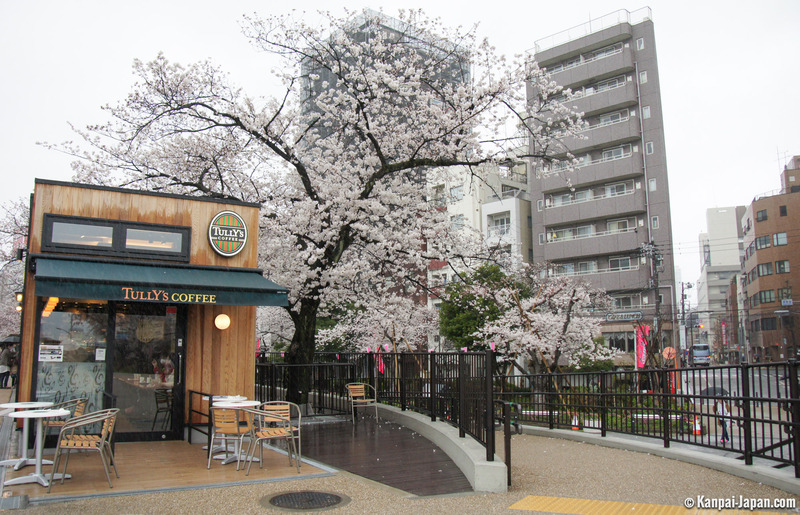 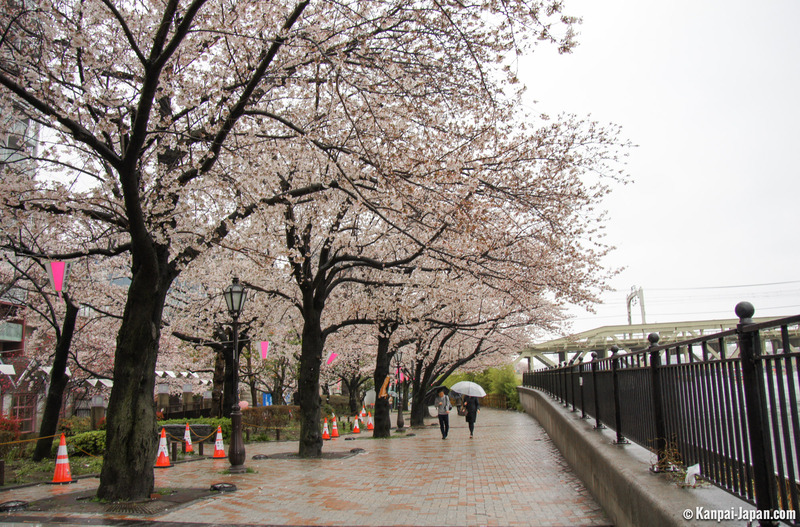 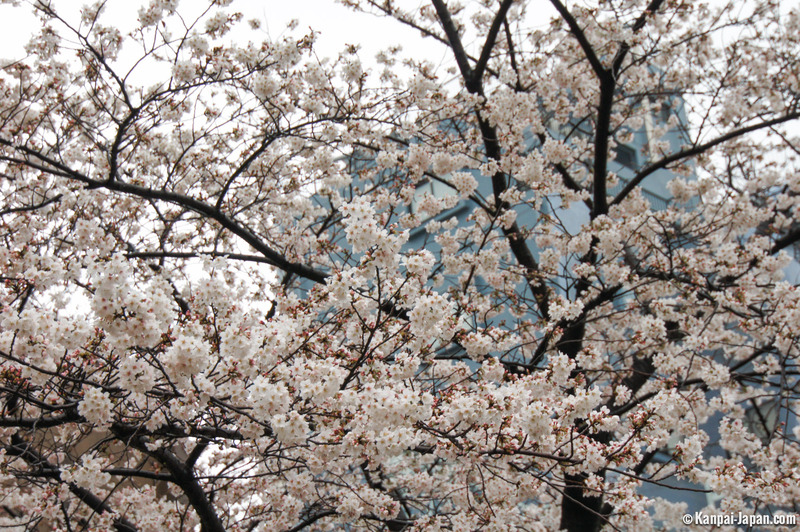 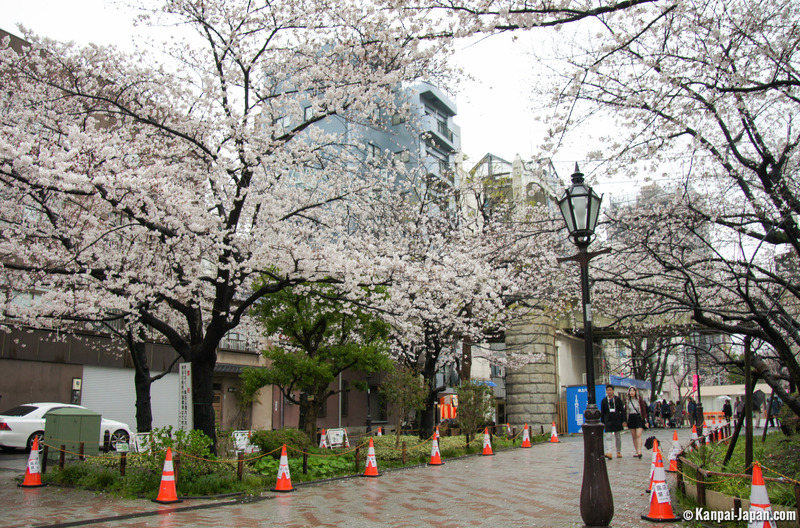 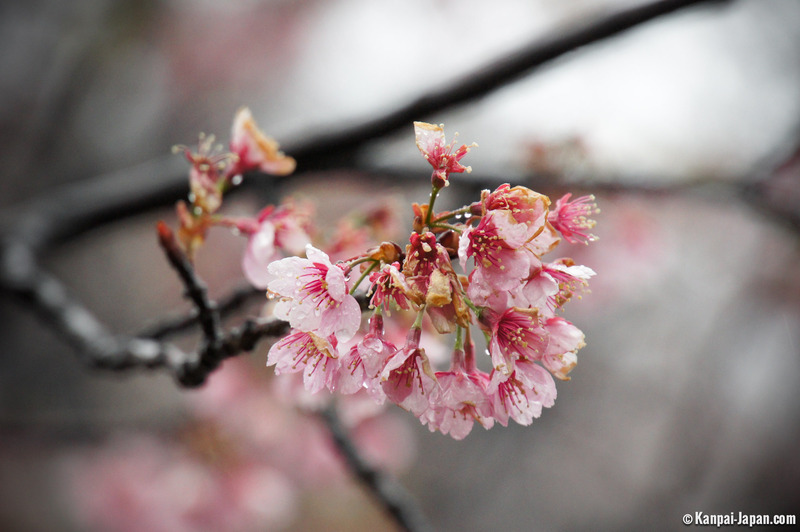 Photos accompanying this article were taken during a (very) rainy early afternoon, but in normal times and at this level of flowering, crowds flock at Sumida Park to stroll under the cherry trees. 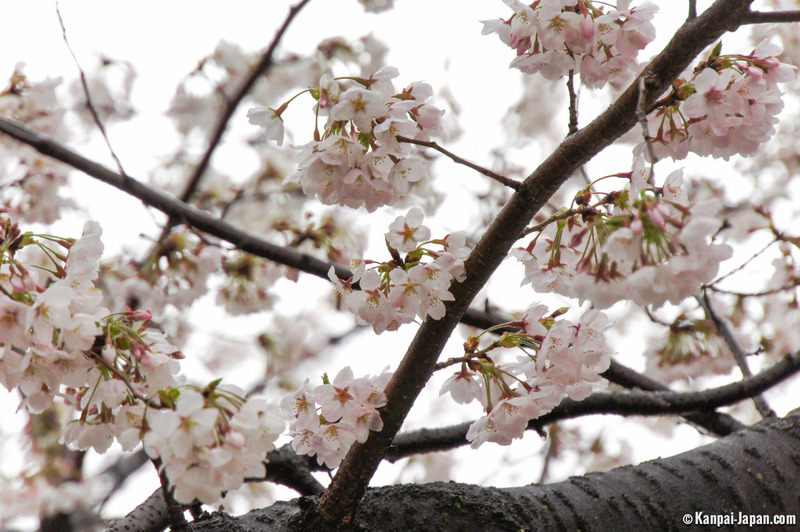 In early evening, some sakura are also lit to prolong the experience. 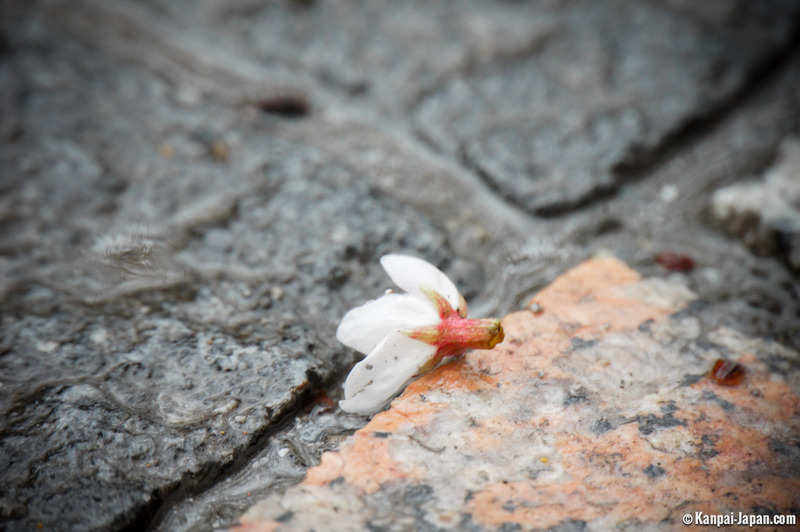 Note that fireworks is also shot on the last Saturday of July, draining again many (many) onlookers.